Thanks to Ringer Lissuin on the TORn message boards we have the following translation of the article in Swedish paper Nöjesbladet talking about Mikael Persbrandt and his role as Beorn in The Hobbit. Warning: some film and book spoilers! On 12 December, “The Hobbit” premieres in Sweden. But Mikael Persbrandt’s character Beorn won’t appear till next year. 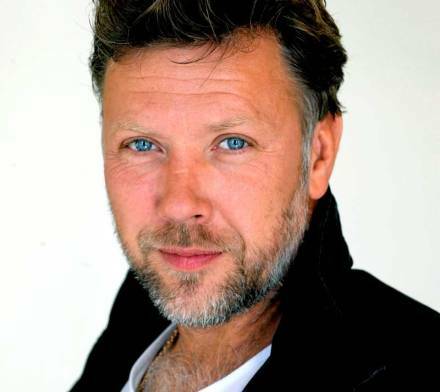 Already the director, Peter Jackson, is looking forward to the sequel — and working more with Mikael Persbrandt. “He has created an extremely strong character,” he says. For those who read “The Hobbit” it’s no surprise. Bilbo, Gandalf and 13 dwarves embark on a journey where they encounter many adventures in different places. About halfway into the book, they come to Beorn and his house. There are a few important scenes before the party moves on. At the end of the story, Beorn has a large and very important role. As long as it was two movies, the meeting with Beorn was in the first. Now it’s moving to The Hobbit: The Desolation of Smaug. “The story definitely has a lot of Beorn in the second and third movie. Mikael is a fantastic actor, absolutely wonderful. We will bring him back here for us to record more scenes for the third film next year. He is so good. Beorn’s the kind of character you want to write more material for”, says Peter Jackson.